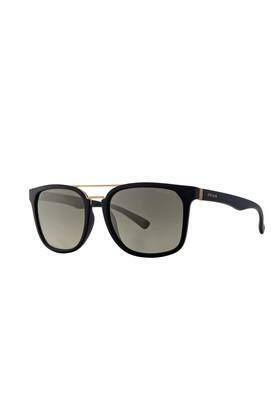 This pair of sunglasses from Opium is sure to impart a trendy look to your face whenever you go out in the Sun. It has a square shaped frame and comes in a browline style that gives it a jazzy look, while the polycarbonate lenses promise to provide you with optimum visual clarity. See the world in a different shade through this pair of sunglasses. Available in a browline style, it will look good with a T-Shirt and a pair of jeans.